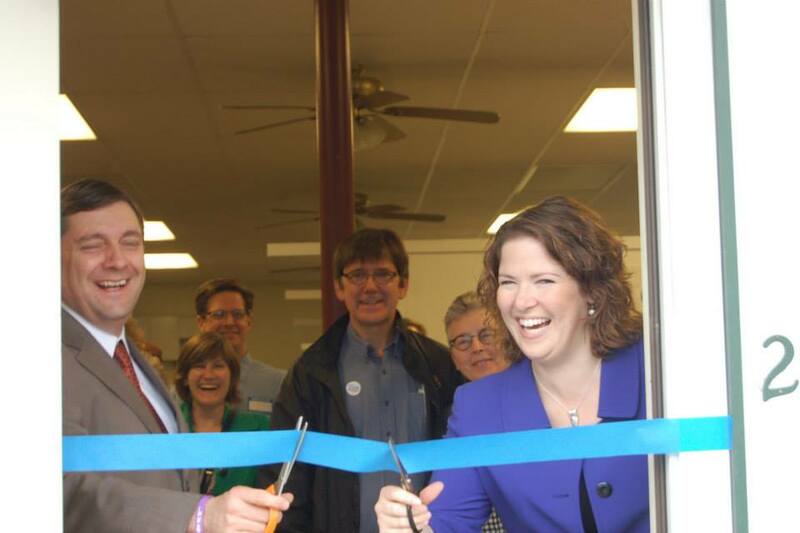 2CD Democratic primary candidates Troy Jackson and Emily Cain cut the ribbon together at the opening of the Oxford County Democrats’ 2014 office in S. Paris prior to the forum. 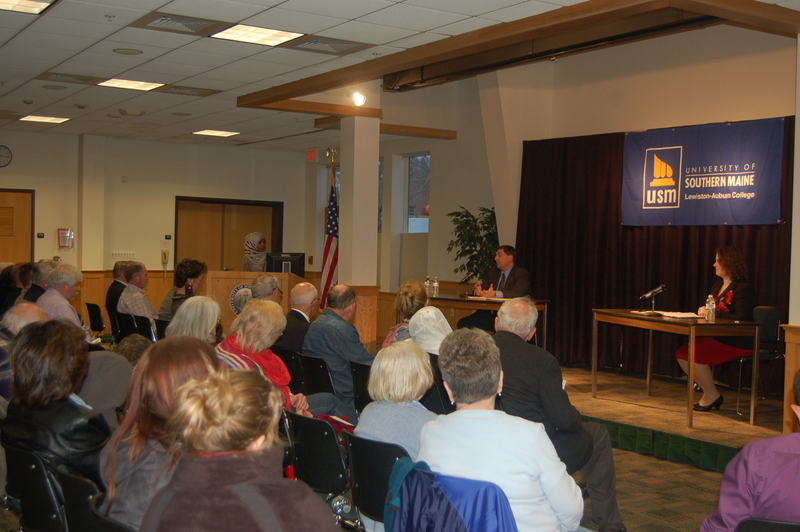 The fourth public forum between Maine 2nd Congressional District primary candidates State Senate Majority Leader Troy Jackson of Allagash and State Senator Emily Cain of Orono, was held last night in S. Paris, ME. Previously, the two met in Androscoggin County (Lewiston)- a link here to video clips of that event- Hancock County (Ellsworth) and earlier this week in Aroostook County (Presque Isle) at a televised debate. Link here to WAGM-TV footage and a Storify collection of campaign tweets during that debate. Hosted by Oxford County Democrats at the Paris Town Office and moderated by selectman Bob Kirchherr, himself the Democratic candidate for House District 73 (Buckfield, Hebron & Paris), the event was a combination of the moderator asking both candidates prepared questions provided by members of the Oxford County Democratic Committee and questions posed by the more than three dozen audience members in attendance. There will be more opportunities for Maine voters to hear from both candidates, with televised events planned on MPBN and WLBZ and a Washington County Democratic Committee sponsored event hosted in Machias, as well as the 2014 Maine Democratic Party’s convention at Bangor’s Cross Insurance Center on May 30-31. Here are the full clips from the forum. Senate Majority Leader Troy Jackson answers questions of USM L/A student Jihan Omar on the needs of immigrants. Last night the Androscoggin County Democrats hosted a candidate forum at the L/A USM campus for the open Second Congressional District seat, vacated by Rep. Mike Michaud who is now running for Governor. 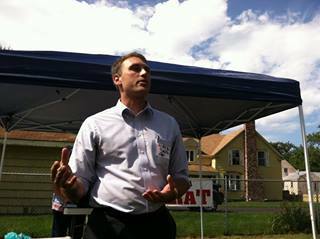 Alden Smith addresses Democrats in Lewiston, Sept 2013. Alden Smith announced today that he is withdrawing from the Congressional race in Maine’s second district. Smith said, “I have been overwhelmed by the grassroots support that got me on the ballot 31 days before the deadline. However, I have not been able to achieve the same financial support. Therefore, I am withdrawing from the Democratic primary race for Maine’s Second Congressional District. The people of our district have the opportunity to select their Democratic candidate from two people, either of whom will serve them well. Smith is settling in the Belfast area and will be returning to Fletcher School of International Law and Diplomacy to finish his thesis. Want to know about CDC questioning? @cwilliams55 will be tweeting from the GOC meeting. @thisdog Aren’t depositions turned over to attorneys on the other side? @Robb1239 any space at all up there? Rep Harvell said he wanted to embrace his “inner-Jack McCoy” here. Looking forward 2 it. He’s legendarily feared in House floor debates. @Robb1239 Yet he dressed like he was going to a holiday party? The commission’s unanimous vote was seen as a victory in the redistricting process. Decisions often have been left to the Maine Supreme Judicial Court, including in 2003, when lawmakers couldn’t settle on a Senate map. Greg Olson, a Democratic consultant, agreed. 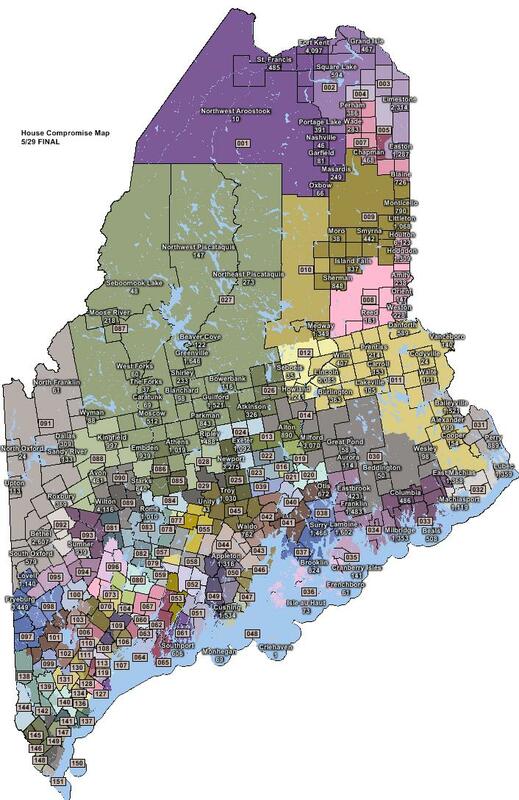 Maine law requires legislative district and county commission maps be updated every 10 years based on population changes. The new maps are based on the 2010 census, which shows a shift in population from Northern to Southern Maine. 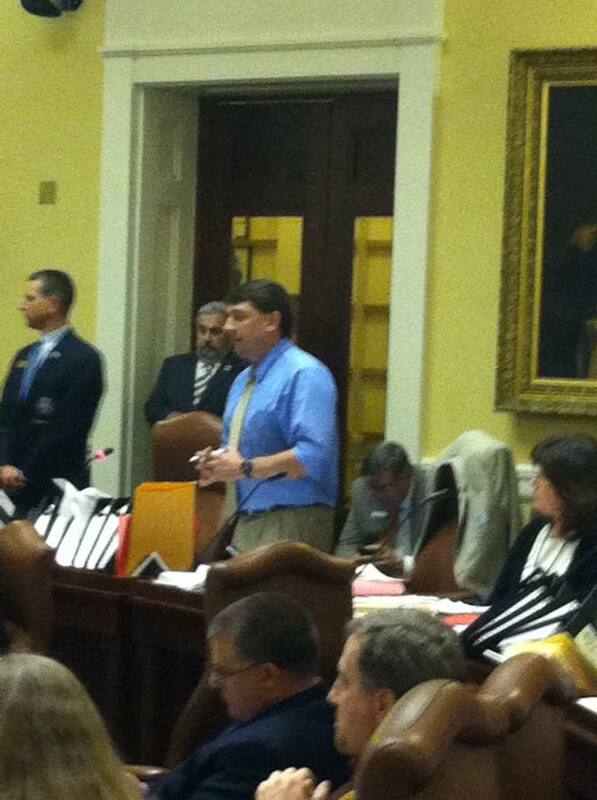 Senator Troy Jackson (D-Aroostook) speaking in support of Medicaid expansion bill. “We will do better. THAT is why we are Democrats! Because, Brothers and Sisters, we are the party of Allagash’s proud loggers, just as we are the party of the entrepreneur in the renovated mills of Biddeford. We are the party of the creative economy on Congress Street in Portland, just as we are the party of the tireless mill workers in Rumford. We are the party of the lobstermen in Rockland and the Maine Guide in Jackman. It is we who are, the party of the potato farmer in Caribou and the teacher in Waldoboro. It is we who are, the party of the HARD WORKING state employees here in Augusta and the abused Decoster workers a few miles north. We are the party of children, whether they’re in Jay or Machias, and we are the party of the elderly whether they’re in Greenville or Belfast. “This November represents a real choice at the ballot box. Do you want to remain a sinking welfare state? Can we revive the American dream? Remember Eliot Cutler? He’s still running for governor. He mocked me. He said I was pandering. But we did what Eliot Cutler and the liberal media said wasn’t possible: We passed the largest tax cut in Maine’s history… I understand welfare because I lived it. I understand the difference between a want and a need. The Republican Party promised to bring welfare change. We must deliver on this promise. 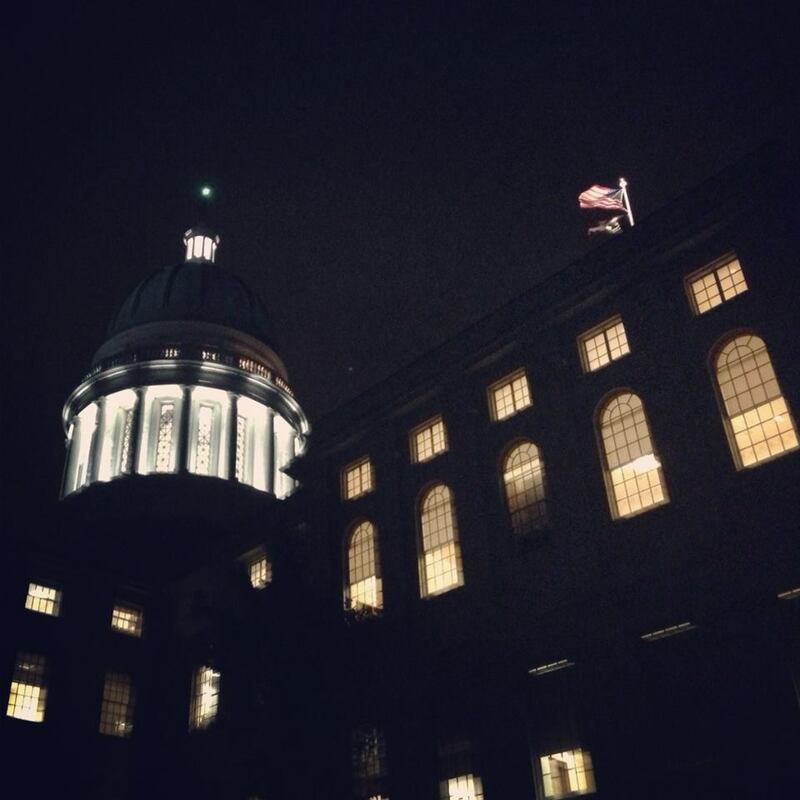 Maine’s welfare program is cannibalizing the rest of state government. While Governor LePage was speaking at an Americans for Prosperity rally in the Maine State House’s Hall of Flags threatening to veto the budget and shut down the Maine state government, Senator Troy Jackson was chairing the Agriculture, Conservation and Forestry committee. Jackson, who serves in the Senate as Assistant Majority Leader, was joined after the conclusion of his 11 am meeting by Majority Leader Seth Goodall (D-Sagadahoc) for a 2pm press conference today. ORONO– State Senator Emily Ann Cain of Orono today announced her intent to run for U.S. Congress in Maine’s Second Congressional District following news that Congressman Mike Michaud is running for Governor. In her announcement Cain said that securing the economic future of the Second Congressional District is her reason for entering the race. Cain’s priority is to continue creating good-paying jobs across Maine. 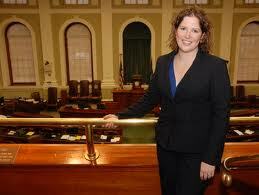 Cain has a track record of working across party lines to benefit Mainers. 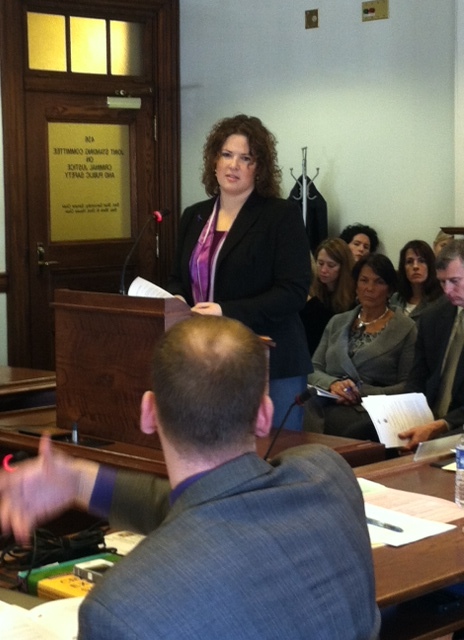 The Senate chairwoman of the Legislature’s budget-writing committee spurned Gov. Paul LePage’s surprise attempt to speak Sunday during an emergency meeting called to address the governor’s recent claim that the Department of Health and Human Services won’t be able to pay MaineCare providers come May 28. LePage asked to address the Appropriations and Financial Affairs Committee as it was preparing to recess. Sen. Dawn Hill, D-Cape Neddick, told the governor that she didn’t want to inject politics into a meeting during which lawmakers had agreed that the shortfall could be fixed by the end of the week. At long last, Governor LePage has finally chosen to directly address the ever growing number of local municipal and school district voter passed resolutions against his administration’s biannual budget with its zero revenue sharing scheme- by essentially throwing his hands in the air and telling the towns to figure out the problems among themselves. What is going to be interesting to watch is how the GOP in the 126th Legislature react- as the governor insists on dragging them down with him. 11:30 AM UPDATE: One of the first votes in the House was on LD 1572, “An Act To Correct Minor Technical Errors and Inconsistencies in the Unified Budget Bill”. It failed to pass that chamber by a 92-50 total vote (9 absent); among those who flipped their vote was House Minority Leader Ken Fredette (R-Newport). It later passed the Senate (3 PM) by a 24-9-2 (Senators Craven and Millett are absent today) vote and will go back to the House this evening. 4:30 PM: So far, only 4 vetoes have been overridden: LDs 415, 1132, 1263 and 1390 (see below). UPDATE: By the end of the evening and conclusion of the session, only LDs 415 and 1132 were overridden in both chambers, of the 31 vetoes taken up by legislators. Gov. Paul LePage has instructed state department commissioners to stop appearing before the Legislature’s budget-writing committee. If someone from the administration is asked to speak before the committee, according to the governor’s office, it will be LePage himself. The administration’s order is in direct response to a clash last Sunday when the committee’s Democratic chairwoman refused to let LePage address the members. “I wanted to tell the Appropriations Committee that I sent a balanced-budget proposal to the Legislature that did not require supplemental budgets or increased taxes,” said the Governor. 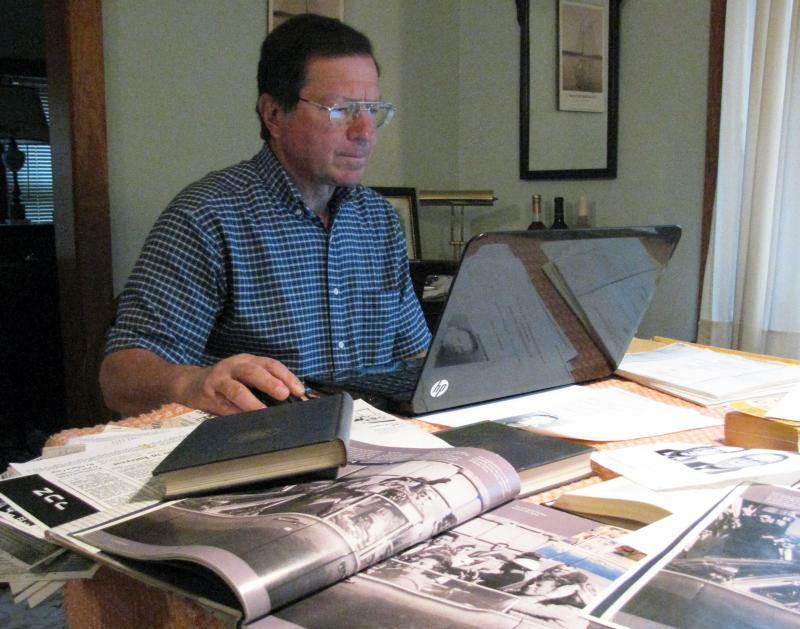 “I also submitted a bill to pay the hospitals, which could have saved jobs and put Mainers to work. But Democratic Legislative leadership and the Dems on the Appropriations Committee are playing games. “Instead of taking care of the 3,100 disabled and elderly Mainers on a waiting list for MaineCare services, Legislative leadership is trying to tie another expansion of welfare to paying the hospitals. They have rejected all of my proposals to crack down on welfare fraud, and they are pushing for a budget that will have to be paid for with tax increases. I told them months ago that the supplemental budget was not balanced, but they passed it anyway. Thornton Wilder’s classic “Our Town” opened on July 19th and is set in a fictional town called “Grover’s Corner, New Hampshire” in the early 1900’s. It is impossible not to see striking similarities between that location and so many other small New England towns- in fact, the cast photo used for the play’s online promotion was taken in the large Monmouth Center Cemetery which borders Cumston Hall, the Theater’s home. Within that cemetery lie the remains of many generations of families eerily similar to the Gibbs, Webbs, Herseys, Crowells and Newsomes of Grover’s Corners, right down to those who served and died in the Civil War, and no doubt some of their lives mirrored those of the characters in this play. TAM’s exceptional cast and crew worked their magic with transforming the past back to life in the telling this simple tale; it was surreal during the intermission to step outside for those few minutes and into what appeared to be a future version of the tale currently being told inside. 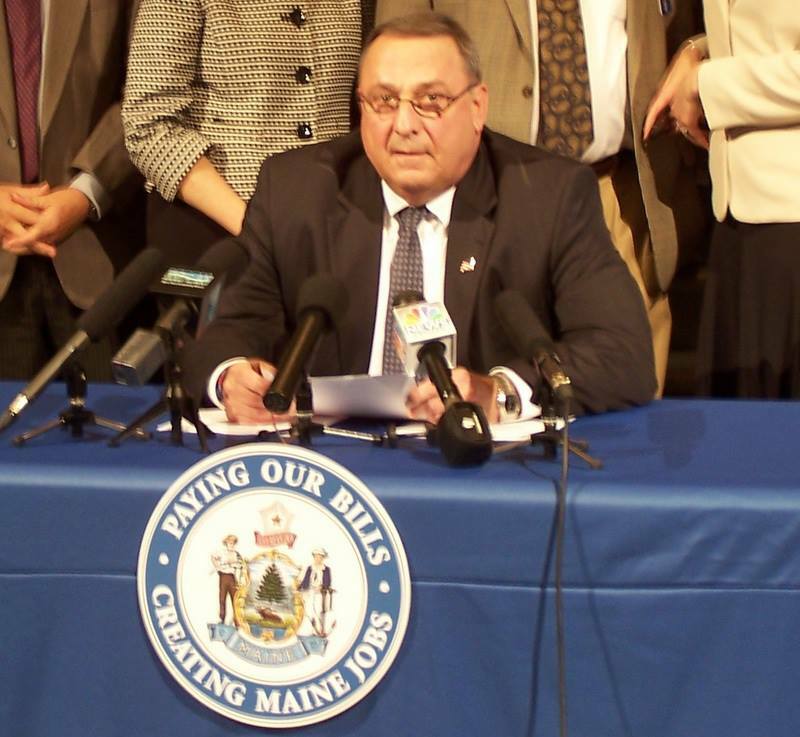 Oh, those “Liberal Elitists in Augusta”– Governor LePage just today tried to warn us all about them! Now, look at the no-good, very bad thing they did! 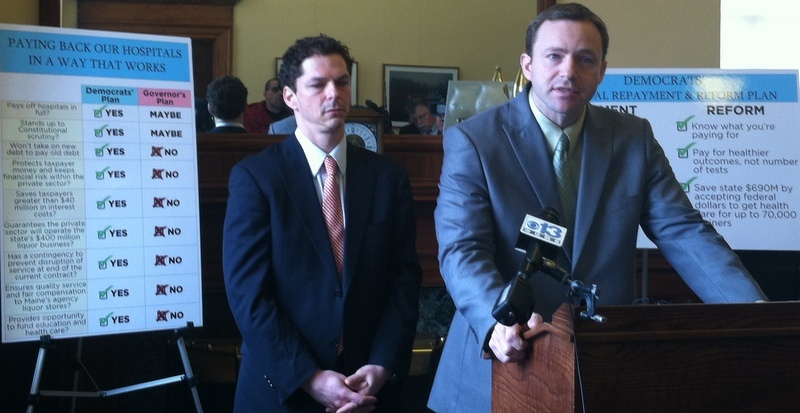 Governor LePage’s “Liberal Elitists in Augusta” (aka Senate President Justin Alfond and Speaker of the House Mark Eves) once again refuse to provide Maine with a plan to pay off Maine’s hospital debt. 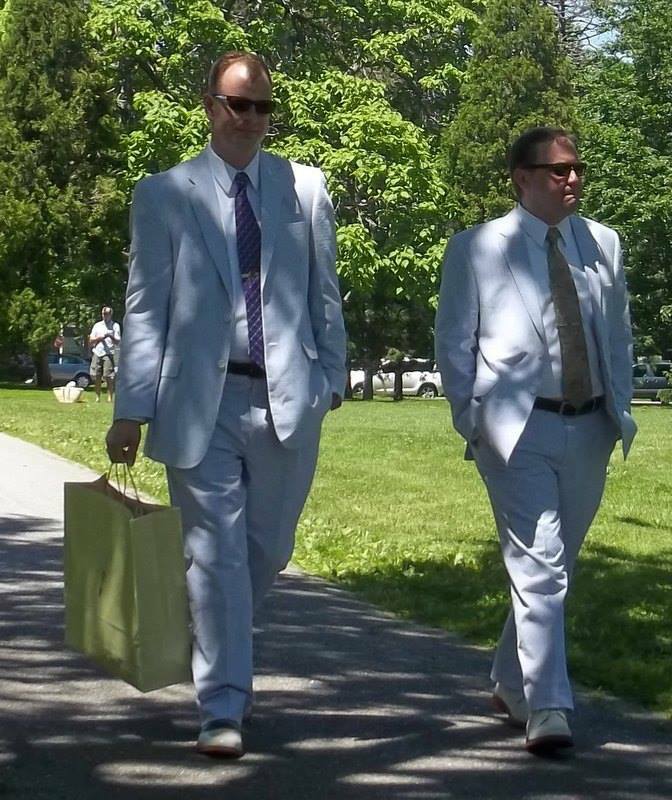 NOTE: Completely ignore, as the Maine Wire and Maine GOP do, the information behind the nefarious pair of no-goodniks! “This is symptomatic of some of the problems we’ve been seeing in committees,” said House Republican Leader Kenneth Fredette (R-Newport). “Add to that Democrats continuing to use the one big thing we all agree on, the hospital bill, as a bargaining chip and a lack of credible solutions coming from them on balancing the budget, and we’re bound to have a very rushed final two months of session,” Fredette said. 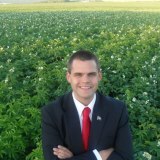 Wearing a nice suit in a potato field apparently makes sense to Rep. Willette, even if there is not a single potato farmer in Maine who would ever do this. Assistant House Republican Leader Alexander Willette (R-Mapelton) said the Democrat’s decision does not bode well for the creation of sound public policy. “Anytime you stop advertising public hearings, you’re hindering the public’s ability to weigh in on important issues and, as a result, hindering our ability to craft good public policy,” he said. Oh, that is terrible! Awful! How dare they?!? Hey, wait a minute… what? Could it be that the Maine Wire/ GOP is trying to score cheap political points out of nothing at all? Nah… couldn’t be. Not those bastions of honesty and truth! Well, there it is- the 2013 wrap-up. Happy 2014, everyone!